Spring has finally arrived in New Hampshire. And with the warmer temperatures come a brand new riding season! If you’re like most riders in New Hampshire, you have had your motorcycle in some sort of storage or garage for the last few months. Or maybe you opted to save a little cash and store your bike yourself. Wherever it has been all winter, you can finally break it out of its hiding place and take it for a spin. But keep in mind that even with the utmost care and attention during the winter months, the fact remains your motorcycle was lying unoccupied for a significant amount of time. It will, without a doubt, require a bit extra upkeep before your next trip. Here are some pointers on making sure you keep your motorcycle in the best form possible, and a few tips on general motorcycle safety as well. Even if you’ve done it a million times before, it still pays to give your motorcycle a comprehensive once-over before riding it again. As you have no doubt heard before, the Motorcycle Safety Foundation (MSF) provides a quick acronym-based checklist that should ensure that you cover all of your bases. The T-CLOCS check (which stands for Tires, Controls, Lights, Oil, Chassis and Side stand) should take no longer than five minutes, and it is definitely worth your time to make sure that everything is in proper working order. Wear conspicuous clothing, especially if you will be driving at night. Obviously, this will help the other drivers on the road notice you better, but in doing so, you will also prevent a good deal of unnecessary collisions. In addition, always wear a durable, well-fitted helmet. 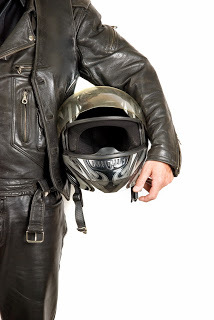 That may seem self-evident, but a large number of motorcycle collisions result in deaths that could have been prevented if only the rider were wearing a helmet. This is something best suited for experienced drivers, which is something that you may well be. But if you have only been riding for a short period of time, refrain from adding a passenger to the mix until you get better acquainted with your bike. If you’re going to be riding with another person, make sure that they understand the rules of the road as well as you do. If not, clearly and concisely explain what is expected of them before the trip. Double-check that they have protective gear that fits them and a helmet that they feel comfortable wearing. It has numerous benefits, many of which (like possible insurance discounts) you may not even be aware of. Aside from improving your skills and giving you a bit more confidence, many states will even waive some or all of the requisite licensing test if you’ve taken a course of some sort. Use these tips, and your own common sense, to stay safe on the roads this spring. Unfortunately though, there are careless drivers out there, and if you do have the misfortune of getting into an accident, be sure to hire a good motorcycle accident lawyer. A great lawyer could mean the difference between a period of recovery free from financial worry and the exact opposite.